Stewart Audio introduces new Low Power ampification series - Revista ISP Música. Canal Músicos. 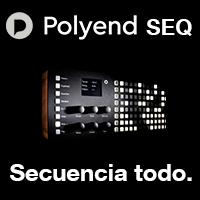 Instrumentos, sonido y tecnología musical. Stewart Audio today introduces a family of four low-wattage, networked amplifiers that address the need for lower channel count support at the local amplification stage. The new series brings the benefits of power-efficient digital audio networking to an underserved customer base, where consultants, systems integrators, dealers and end users require simple, affordable networked amplifier solutions scaled for smaller zones. This provides an affordable and reliable option to the larger, high-wattage amplifiers for high channel counts that permeate the market. Importantly, the compact footprint of all four products enables simple installation at endpoints, providing networked amplification to smaller zones – whether for standalone needs in small-to-mid-sized installations; or to provide low-power amplification to smaller, distant zones in larger scale projects. AV25-2 NET+: A 2x25W, 4 or 8 ohm low impedance amplifier with two analogand two Dante inputs, and remote and local volume control. Automated port switching can override audio feeds depending on which Dante or analog feed is set to priority; his digital version which is known AV25-2 NET with two Dante inputs. On the other hand, CVA50-1 NET+ is a 50W, 70/100V mono amplifier with one analog and one Dante input, remote and local volume control, and automated priority port switching to insert local audio feeds over main programs with his digital version: CVA50-1 NET, with a single Dante input. Dual inputs in two models (AV25-2 NET+ CVA50-1 NET+) allow customers to serve both local and global PA systems if desired, with the option to target and prioritize pages and other audio events across many zones. Installations are further simplified with the presence of Symetrix Composer 2.0 software that integrates device discovery and signal routing all four new products through its unique Dante third-party programming environment. This further reduces complexity for the installer, accelerating deployment times and creating a cohesive end-to-end Dante networking solution with local amplification. 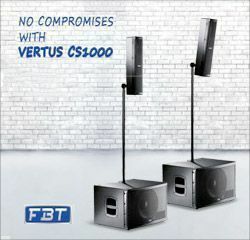 All four compact solutions can be pole mounted or attached to a flat surface near loudspeakers.